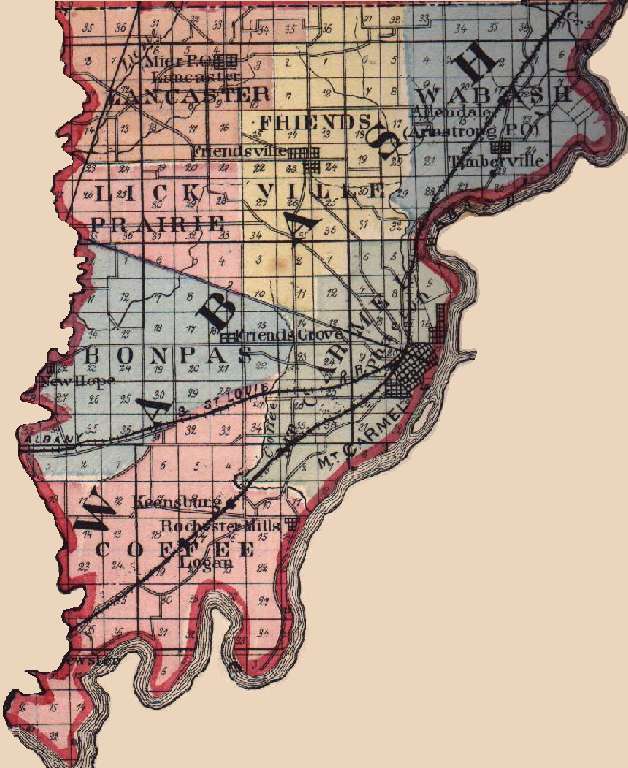 Wabash County was formed in 1824 when it was separated form Edwards County after a dispute over the county seat. Mt. Carmel, the county seat, is the largest city in Wabash County. Some public records have been destroyed by a series of events in the mid-1800's. 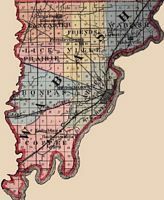 The first courthouse was in Centerville, a town that was created to serve as the county seat. 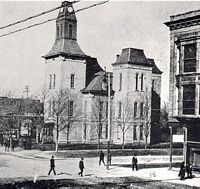 Within a few years, the county seat was moved to Mt. Carmel and a new courthouse was built in 1831. This building burned in 1857, destroying all of the courthouse records except for a log of commissioners minutes. Some documents were recreated from personal records. 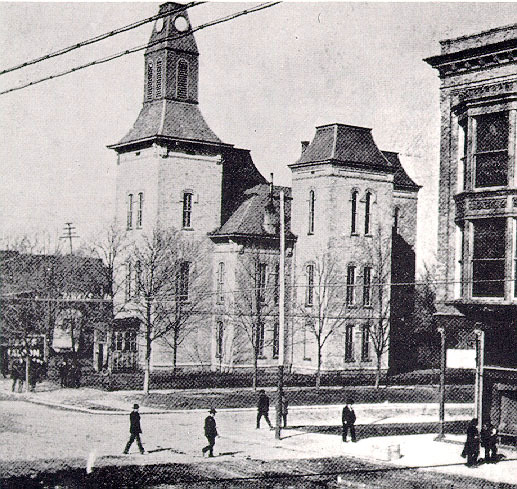 The third courthouse, built in 1857, was destroyed by a tornado in 1877. (i.e. the front part was torn down and a new wing built then the rest was torn down and the new building was completed).